This weekend we have been graced with the Hunter's Moon, also known as the Blood Moon, which is the next full moon after the Harvest Moon, the full moon closest to the Autumn Equinox. Before our sedate way of live, it was the perfect time to continue to track prey and hunt during the night, thus its name. 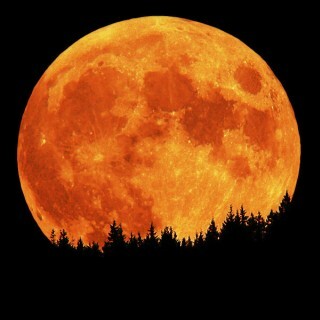 Hunter's Moon inspires me to meditate on the basics of life: 1) What am I hunting? 2) Who, or what, is my prey? 3) Is my life full and equally balanced during this Autumn season? I invite you to join me in this quest of self-discovery and answer these three questions as only you can answer them for yourself. My life is full - I'm working on the balance part.